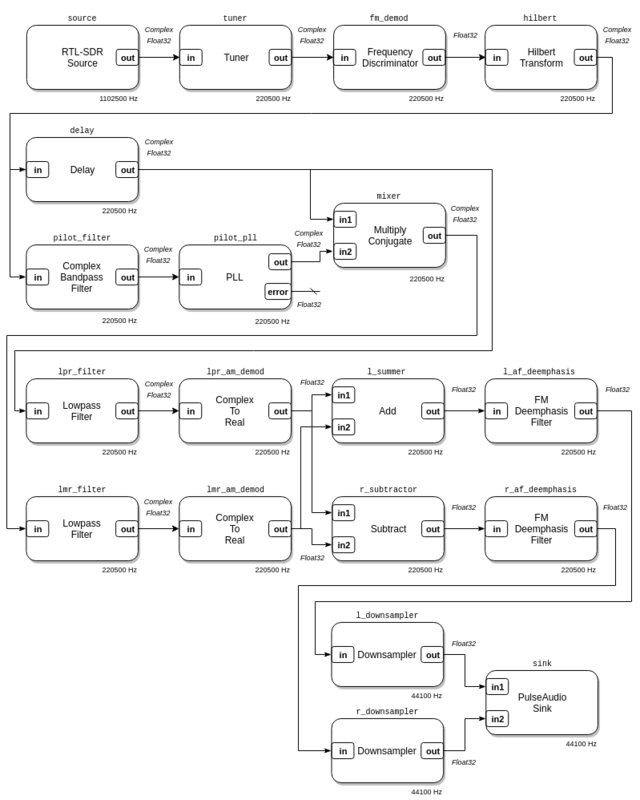 This example is a stereo Wideband FM broadcast radio receiver. It can be used to listen to FM Broadcast stations, like the mono Wideband FM example, but it also supports stereo sound. 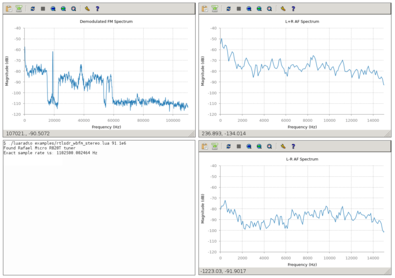 It uses the RTL-SDR as an SDR source, plays audio with PulseAudio, and shows three real-time plots: the demodulated FM spectrum, the L+R channel audio spectrum, and the L-R channel audio spectrum. 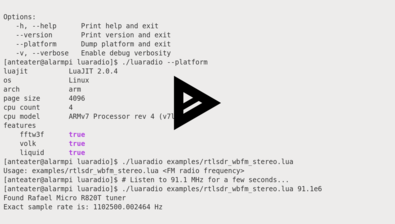 This stereo Wideband FM broadcast demodulator composition is available in LuaRadio as the WBFMStereoDemodulator block. Running this example in a headless environment will inhibit plotting and record audio to the WAV file wbfm_stereo.wav.